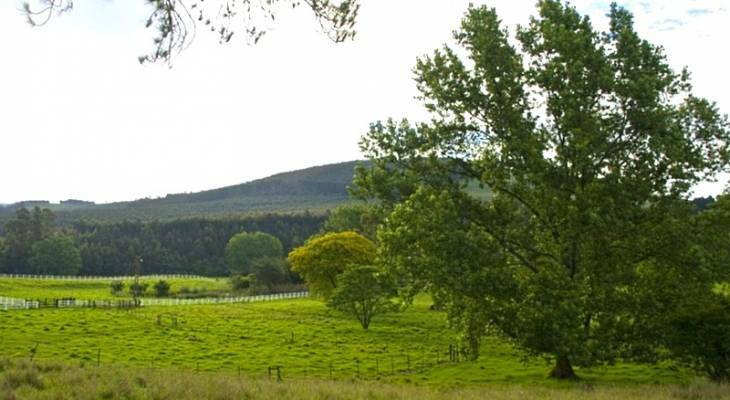 The small hamlet of Lions River lies situated between Lidgetton and Howick in the center of the KwaZulu Natal Midlands. The small settlement got its name from the last lion which was shot in the area in 1856. The village is about an hour's drive from Durban, and the area is well known for its dairy farming. The village itself offers little more than a trading store, but what the area lacks in activities and attractions, it makes up for with some of the most magnificent and picturesque scenery in South Africa. The Lions River Conservation District covers an area of more than 2,000 sq km and includes areas of tall grasslands biome which are home to the protected blue swallow and Karkloof blue butterfly. It also includes Beacon Hill, which has been declared a site of conservation significance, as well as areas where visitors can see cranes, the endangered oribi, the elusive cape parrots and the protected black stinkwood. The Trading Post in Lions River is worth paying a visit. The building was once a water-driven turbine sawmill, and has been transformed into a charming antiques and collectibles store. The Trading Post houses an interesting collection of furniture, tools, mirrors, clocks, fireplaces, lamps, glassware, ceramics, oregon copper and chandeliers. The neighbouring town of Howick is only ten minutes away and offers visitors a variety of restaurants, pubs, shops, and the mighty Howick Falls. Lions River is also ideally situated along the Midlands Meander tourism route, which is sure to provide visitors to the area with much to talk about. From Lions River visitors can obtain awesome views of the Dargle Valley and conservancy, The Dargle Valley and conservancy area is an area of awe inspiring natural beauty, with its pristine waterfalls and river gorges, grassland, indigenous forest, wild flowers and wetlands. The valley serves an excellent venue for birdwatching as it is home to an impressive variety of species. Lions River overview. Lions River Accommodation and Information.